Volunteerism is giving your time and expertise in exchange for knowledge, and the opportunity to be part of the changes you want to make in the world. I urge everyone to become a volunteer in any way you can. You can start by helping people in your own community, then you will be helping people from the whole country, and then, who knows, you may also be helping people from all over the world. Brasilia, Brazil: Volunteerism is giving your time and expertise in exchange for knowledge, and the opportunity to be part of the changes you want to make in the world. I urge everyone to become a volunteer in any way you can. You can start by helping people in your own community, then you will be helping people from the whole country, and then, who knows, you may also be helping people from all over the world. I began my assignment as a national UN Volunteer Communications Associate in Brasilia, Brazil, in 2014. I was very excited to learn more about the work of the United Nations and the United Nations Development Programme (UNDP), and about how communications is part of the development and humanitarian process. 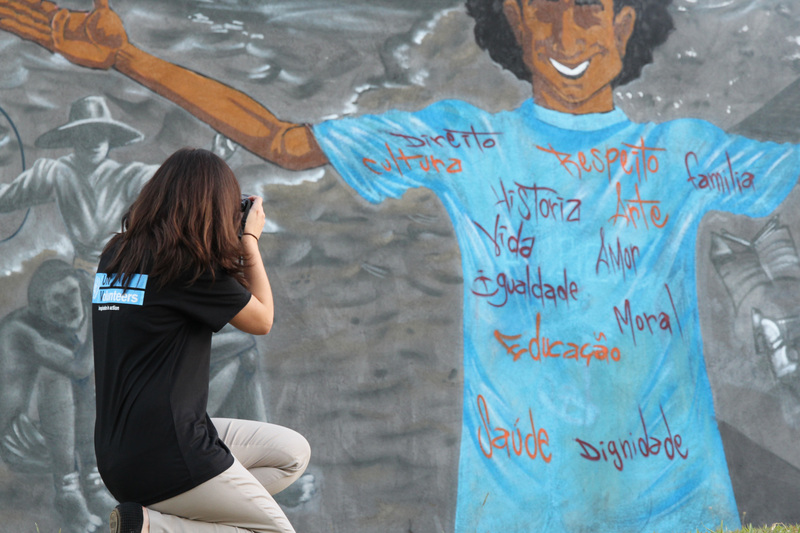 Even though most of my daily routine was spent at UNDPs office in Brasilia, I was able to learn about the majority of UNDP projects in Brazil, writing articles, taking photos or creating social media content to promote them. Many times, I also had the chance to travel to other parts of the country, meet very interesting people and see the projects being implemented on the ground. I learnt that communication is an essential tool in the change-making process. I understood that communicating is one important step in engaging people to discuss and take action in some of the most important issues of our society: poverty, violence against youth, citizen security, and many others. One of the most rewarding aspects was that, at the same time, I was learning more than I could think of, and I also felt I was able to help many of my colleagues and really make a difference. Being a volunteer has given me much more than I had hoped for, both professionally and personally. After my experience, I feel even more committed to continue volunteering and to encourage others to become volunteers. Julia Lima served as national UN Volunteer Communications Associate with UNDP in Brazil.